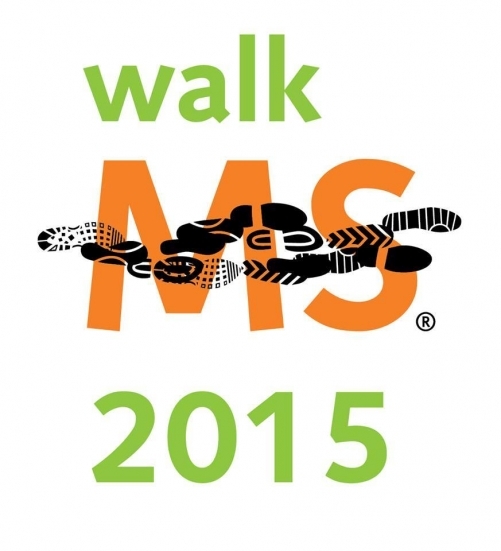 The National Multiple Sclerosis Society is scheduled to host the fifth annual Walk MS: Shreveport 2015 April 11 at the Louisiana Boardwalk in Bossier City. Shreveport-Bossier City residents will step up to raise awareness and funds to support programs and services for more than 8,800 Louisiana residents affected by multiple sclerosis, including more than 3,700 diagnosed with the disease. The society hopes to raise $34,000 this year from Shreveport-area partners and fundraisers to support research, programs and services for people living with MS. In 2015, local sponsors include Blue Cross and Blue Shield of Louisiana, Willis- Knighton Medical Center, The Highland Clinic, Raising Cane’s, Alford Financial, The Inquisitor, Genzyme, Mallinckrodt and The Forum. Walk MS: Shreveport is among a series of 32 Walk MS events taking place within the society’s south central, five-state region. “Usually around 500 people attend the walk, but we are always looking to grow the event in this amazing market,” Alexandra Jeannot, development specialist for the society, said Walk MS began in 1988 and to-date has raised more than $870 million in fundraising and campaigns for more than 2.3 million people living with MS worldwide. In 2014, the society invested $50.6 million to advance more than 380 research projects around the world in order to stop MS, restore what has been lost and end MS. Through its comprehensive nationwide network of programs and services, it also helped more than 1 million people affected by MS connect to the people, information and resources needed to live their best lives. Walk MS: Shreveport was created in 2011 by committee chair, Teresa Willis, who attended a Walk MS event in Baton Rouge. She was inspired by the strength and courage of those around her and knew that northwest Louisiana could handle an event of that nature. The event is a family friendly walk featuring a fully accessible, one-mile route along the scenic Louisiana Boardwalk in Bossier City. On-site registration and check-in begins at 7 a.m. followed by an 8 a.m. official start time. Participants can enjoy complimentary food and entertainment before and after the event. There is no cost to register; however, all participants are encouraged to actively fund-raise. For more information, go to www.walkMS.org or www.nationalmssociety. org. Where: Louisiana Boardwalk, 540 Boardwalk Blvd. Multiple sclerosis, an unpredictable, often disabling disease of the central nervous system, interrupts the flow of information within the brain and between the brain and body. Symptoms range from numbness and tingling to blindness and paralysis. The progress, severity and specific symptoms of MS in any one person cannot yet be predicted, but advances in research and treatment are moving us closer to a world free of MS. Most people with MS are diagnosed between the ages of 20 and 50 with at least two to three times more women than men being diagnosed with the disease.